Adding a challenge to survival Minecraft is a perfect way to bring more fun and excitement into the game. Challenges are certain rules or objectives you add voluntarily to the game to make it more difficult. Some example of challenges could be playing in a world with lava oceans or not being allowed to use diamond tools. You may wonder, what is the point of making the game harder for myself? For experienced players who never die in the game and know how to get everything, the normal game can get boring. By making it more difficult, you are forced to think in new ways and be creative to reach your goals. Challenges are getting more and more popular in older games and even Runescape has added an ‘iron man’ challenge mode for players. This article will go over some basic and more complicated challenges that Minecraft players have been trying out. If you’re getting bored of Minecraft, these survival challenges are sure to help bring more fun to the game. You cannot make the island larger by adding blocks onto it. Work with what you spawn with. You are not allowed to leave the island and start a second base. Do all your farming and building on the island. Going underground to mine is allowed, but you must go back up the way you came down. For long-term objective, make it your goal to build using nether brick or quartz. You will be forced to explore the nether and gather materials there. Some other objectives could include: getting a nether star and making a beacon, defeating the ender dragon, or mining lots of diamonds. 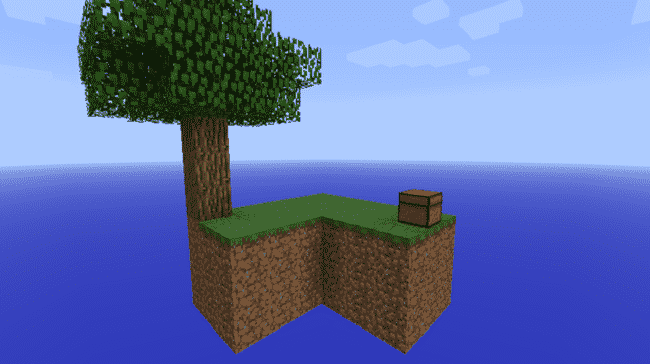 Almost everyone who has played Minecraft has heard of Skyblock. Essentially, you start on a small chunk of land floating in the sky and you need to expand it and build your base. It’s a very fun take on Minecraft if you are up to the challenge. I highly recommend playing on a Skyblock server so you can make friends and invite people to your ‘island’ in the sky. If you are into feed the beast (modded Minecraft), check out agrarian skies and Sky Factory 3 for modded skyblock. Similar to Skyblock, but in HermitCraft you spawn with just a single 16×16 chunk and nothing else. The goal is to play the game as you would with the limited resources and eventually explore the nether and kill the ender dragon. Note that there is another 16×16 chunk somewhere out in the world if you’re daring enough to go exploring. To download the map, check out the HermitCraft website. For an example of gameplay, there is a video below. Updates to Minecraft now allow you to customize how worlds are generated. There are endless opportunities to add challenges, including replacing oceans with lava, playing on superflat, or making ores more rare. See MinecraftWiki for a complete list of customized world options. This challenge involves building a city from scratch in survival mode. You’ll have to progress through the stages by completing certain requirements. For example, you can only use wooden tools at the beginning and unlock better tools as you add to your city. By the end of the challenge, you should have a big city to show off to your friends. 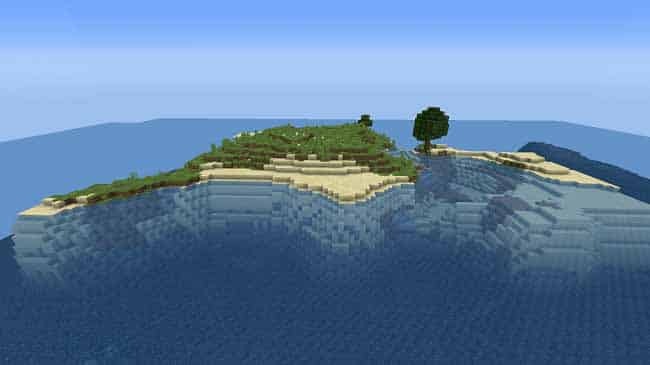 If you run out of ideas for things to add to your city, check out our list of things you can build in Minecraft. For all the information on this challenge created by Iamchris27, take a look at the original forum post for it. For more ideas, there’s a list of Survival Minecraft challenges over on Minecraft Forum. Have ideas for other challenges? Leave a comment below! Thanks for the tip for these challenges, this will go great for my videos, I’ll be sure to link this down in the Bio of my next video.